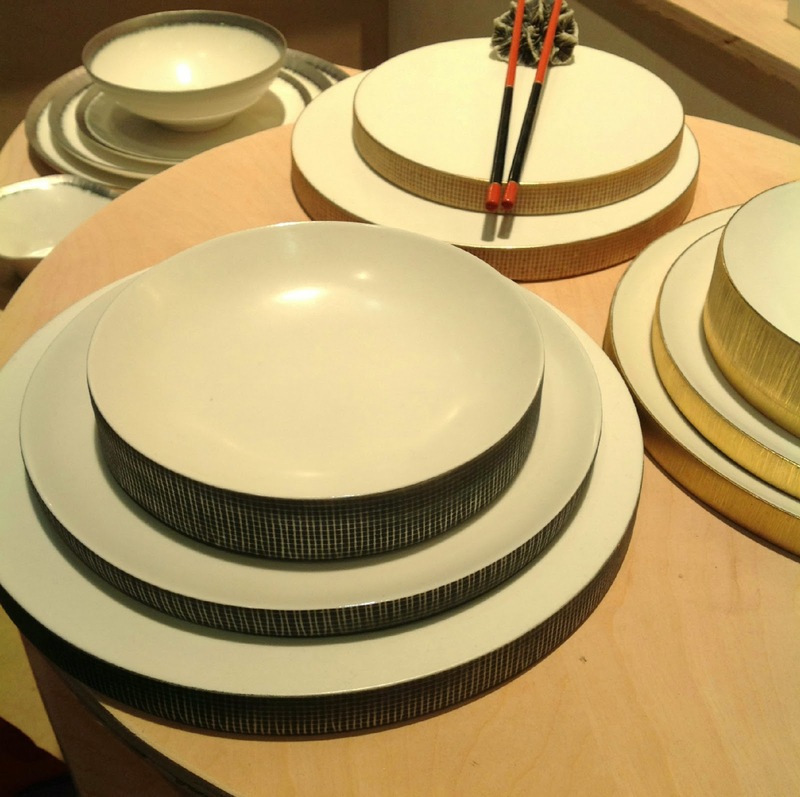 Beauty and craftsmanship sums up the porcelain work by Daniel Levy. I have met Daniel and he takes pride in his beautiful work! Based in NYC, his fine porcelain dinnerware and accessories are all hand-made with colored porcelain slips and glazed and finished with multiple layers of 22 karat gold or platinum. Yes, the real stuff and it is applied on the thick sides of his latest pieces (see above image). Love it! His work is more than dinnerware, its art...I can only imagine how stunning a table would look with his creations adorning the table! Thanksgiving is coming up!! To get a daily dose of design, 'LIKE' MoD Design Guru FACEBOOK page.